The ‘Amy Classic’ Lady’s Service Satchel is perfect for meetings, weekends and everyday use. 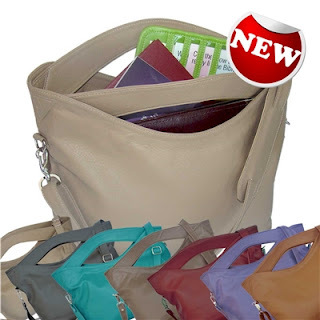 Large enough to hold your wallet, phone, Bible and other personal items, yet stylish enough to be worn to the office, to dinner, the Kingdom Hall and beyond, this large Bible satchel is available in seven different colors, so you’re sure to be able to find the bag that fits your style best. Whether you’re searching for your own new Bible handbag or you’re on the hunt for unique gifts for Jehovah’s Witnesses, this bag has everything you could ask for. It includes two attached handles and a removable and adjustable shoulder strap, so you can carry the bag however you please. The strap can even be set to a long length to turn your bag into a cross-body bag. This means your bag is easier to carry and access than ever, it is more secure and your hands have freedom to do other activities! Plus, cross-body bags help relieve the strain from your shoulders that naturally occurs when you carry a purse for prolonged periods of time, or when you carry heavy shoulder bags. This large Bible satchel features an oversized inner compartment, two internal zip pockets, and a large divider with a special slot for magazines and books. Whether you prefer to always carry your Bible with you or you’re in need of a bag that allows you to easily transport papers and a large teacher’s study Bible, the Amy Classic bag has got you covered. Stylish, functional, durable and affordable – order your large capacity service satchel today and receive free shipping on any full order over $250!